The ban on the short-selling of 34 UK financial stocks has been lifted. Short-selling is a technique that allows investors to make money from falling share prices. The ban was introduced in September, after the practice was held partly to blame for undermining confidence in the UK's biggest mortgage lender HBOS. The decision by the Financial Services Authority (FSA) was an attempt to clamp down on some of the extraordinary falls in the value of banking shares. When selling short, investors borrow shares in a company which they then sell in the hope of buying them back later at a lower price, pocketing the difference. The removal of the ban is seen as a key test for embattled banking stocks, which rose on Friday after sharp falls this week. Some MPs, including John McFall, chairman of the Treasury Selected Committee, called for the ban to be maintained amid falling stock prices. But the London Stock Exchange has said its own research showed the ban "impaired liquidity and market quality" of the stocks on the list. Ash Saluja at City law firm CMS Cameron McKenna said that the effectiveness of the ban "was never really tested", though it was "a necessary emergency measure given the financial crisis". The FSA said it would reinstate the ban if needed. It also decided to extend rules requiring the disclosure on significant "short" positions until 30 June. 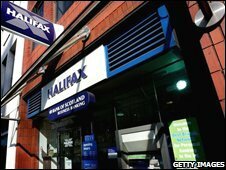 After sharp falls earlier this week, Lloyds TSB rose 4.8,%, Royal Bank of Scotland climbed 6.5% and Barclays was up 4%. The market rebounded on hopes that emergency funds for Bank of America and the release of more US bail-out money would help stabilise the financial sector.